David Barrett Guitar Collection is an effort by guitarist David Barrett, to collect and distribute donated guitars to youth in the community of Sotuta de Peon, Mexico, that have no access to musical instruments. Your donated musical instrument will be sent directly to youth in the remote community of Sotuta de Peon, in the Yucatan, where they will be appreciated and utilized. 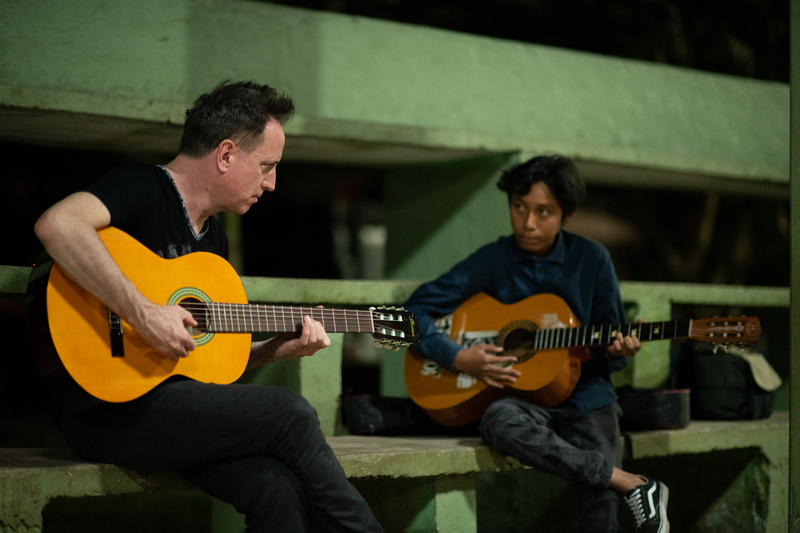 David’s ongoing Yucatan Guitar Summit at Sotuta de Peon, Hacienda Viva, enables him to conduct local concerts and workshops for the children of the community.